– From “Of Other Spaces” By Michel Foucault, loosely. Although I must admit that is not a complete nor thorough definition of a heterotopia, it works for what we in #hist5702x are working through right now. This week, our readings and class discussions danced around the ideas of historiography as a game, and games as historiography. Whether a game is “set in the past” (a flimsy explanation of capital-H History in my estimation) or otherwise, when a player is playing a game they in equal measure learning the structures (the rules) of play as well. Games introduce players to new worlds, but at the same time teach the structures of navigating their worlds, giving them the tools to understand their worlds in a particular way. This is not so different from how historians operate. In all capital-H Historical publishing, authors not only introduce their readers (or watchers or what have you) to new worlds, they also introduce a structure of knowledge, a way of looking at the past and accessing fantastical worlds which are neither here nor there. I invoke Michel Foucault’s idea of the heterotopia to work through all this for selfish reasons. As Jesse and I are going to be focussing on the Expo 67 angle of our investigation, I’ve started nosing around for sources. 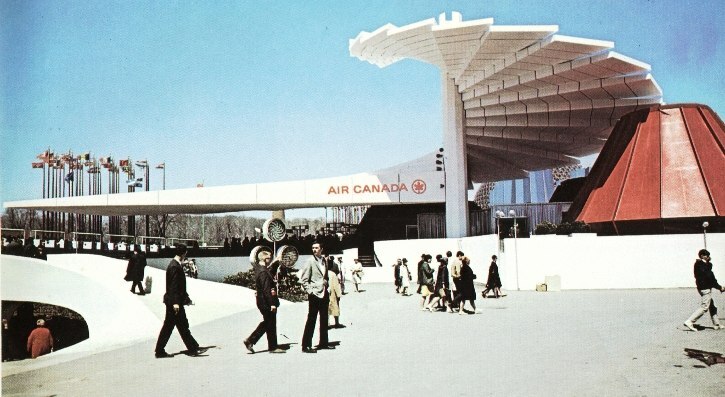 One which I have found imagines Expo 67 as Canada’s national heterotopia – a place where contested ideas about what the nation was and where the nation was going could manifest in the same liminal space, where a definition of Canada was physical and mental at the same time. I think our book will embody these dichotomies, not only in its intellectual content, but thanks to its position in the liminal space between past and present, physical and digital, and here and there at the same time as well.